Hormonoly Yours…. Hormones and Your DNA. How Progesterone as a hormone influences weight loss. ← Feed The Fish, But Count On Krill! We have all heard about the ‘sunshine’ role of Vitamin D. The fact that it helps in bone health is something that is now well established. But now research has come out linking Vitamin D deficiency to adverse health consequences such as cancer, cardiovascular disease, hypertension, Type 2 diabetes and lower immune levels. Research from John’s Hopkins University has reported that lower Vitamin D levels (deathfrom any cause. Danish researchers have discovered that we need Vitamin D to activate our immune system’s T-Killer Cells. A lack of Vitamin D results in increased inflammation. This in turn reduces the length of the leukocyte telomeres. This telomere length is a predictor of age-related diseases. 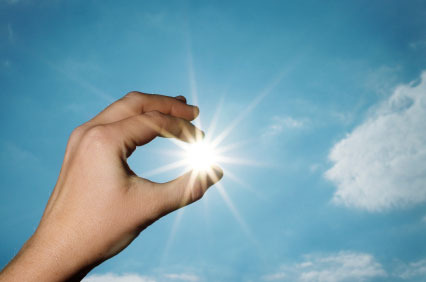 Research from King’s College, London found that people with longer telomere length have higher Vitamin D levels. This difference is equivalent to five years of telomeric aging. My advice; don’t get caught short. Check your Vitamin D levels and increase the length of those telomeres. This entry was posted in Anti-Aging, Supplements. Bookmark the permalink.